Skipping the Gym: Can You Get Fit Working Out at Home? When it comes to getting in shape, there seems to be a specific recipe. Eat healthy and control your calories, and get a gym membership so you can start working out. Some even go so far as to hire a personal trainer at their gym to help them out. And while this certainly is a great strategy for getting fit, it certainly takes a bit of upfront investment. Gym memberships can get quite pricey often require long term commitments. Additionally, the time investment of driving to and from the gym can be an obstacle for some people. Some people would certainly feel more comfortable getting a workout in at home. But is this even possible if you want to get serious about your fitness? Truth is, working out at home can certainly help you get fit and healthy. You simply have to know how to exploit your resources and find a workout style that works for you! Getting in a good workout at home is easier for less experienced lifters at least as far as specificity is concerned. Research shows that pretty much any kind of workout stimulus will lead to positive results for beginners [Campos, Hagerman]. This has to do with the novelty of the stimulus that a workout provides in the early stages. Your body is a sponge ready to soak up anything you throw at it and as such, you don’t have to get too specific up front. More experienced lifters usually need specific stimuli in order to keep progressing. In other words, an experienced lifter would need access to specific gym equipment like a barbell, dumbbells, kettlebells, etc. Not to say that the occasional at home workout isn’t useful at all for advanced trainees. Certainly a good old fashioned push-up and pull-up workout can be a welcomed break from the clanging and banging that goes on in the gym. However, the majority of an advanced trainees workouts would need to have heavier movements compared to what might be accomplished at home. Of course, you could purchase your own set of weights and workout machines for your home gym. In that case, your at home workout would be more than adequate for continued progress! In the end the effectiveness of your at home workout depends on your goals. If you are trying to be a powerlifting champion, at home workouts are tough unless you invest in lots of expensive equipment. But if you are someone who just wants to improve your health and look great, at home workouts can be effective even with minimal equipment. As you know, the main reason people get a gym membership is to have access to all the great equipment, classes, and amenities. But at home you have to make due with much less. Thankfully, there are so many resources you can use to get some great workouts in at home. A quick search on YouTube will give you access to thousands of free workouts that require little to no equipment. Whether you enjoy calisthenics, yoga, Zumba, or a circuit weights session, you can find a workout that fits your needs. If YouTube doesn’t have anything that catches your eye, you might consider a membership to one of many at-home workout services. Companies like BeachBody and Daily Burn offer monthly memberships that give you access to workouts that are sure to help you get in shape. These memberships cost about as much as a cheaper gym membership and the workouts are usually led by enthusiastic trainers. That way you can get a challenging workout without leaving the comfort of your home. Your own body weight certainly adds a good bit of resistance for exercises like push-ups, air squats, lunges, planks, and many more. Throw in a few burners like jump rope or burpees and you can build yourself a great full body circuit. These can be chopped up and manipulated in order to keep challenging you as you get into better shape. But eventually you might need to add a bit more resistance in order to get the same effect. Purchasing a few pieces of equipment like a pullup bar, some kettlebells, an ab wheel, and resistance bands can take your home workout to the next level. With these at your disposal, you can enjoy tough workouts long into your intermediate lifting days without skipping a beat. Going to the gym is certainly the most popular way that people choose to get into shape. 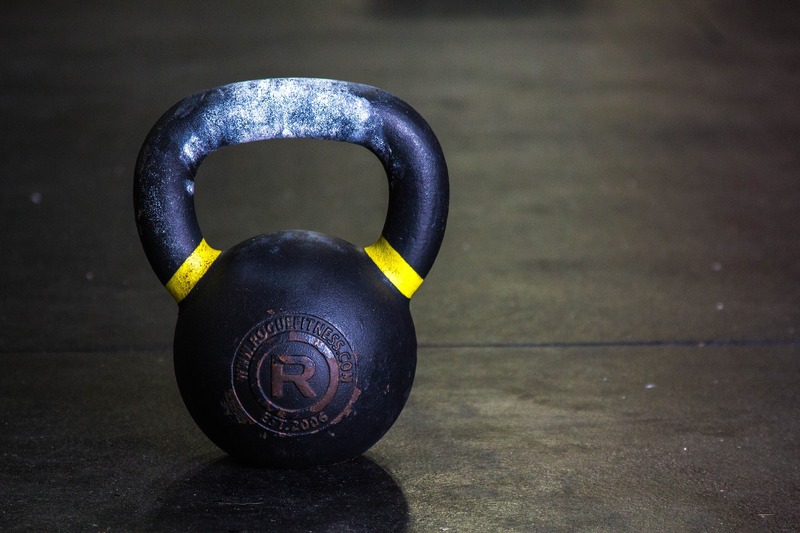 All of the awesome equipment, classes, and comradery make it easy for people to get in a great workout. However, the upfront cost and effort of going to the gym can often be too much for people to overcome. Instead, it may be a better option for some people to try and get in shape while working out at home. Although an experienced lifter would probably need to invest in expensive equipment for their home gym, beginners, intermediates, and general health minded exercisers can get away with much less. Whether it be a workout video or a self-constructed circuit program, hard workouts can be had with little to no equipment. And even as you progress in your own fitness, you can purchase low cost items that will increase the difficulty. So, if you want to work out but can’t seem to get yourself to the gym, look no further than your spare bedroom or living room as a great place to train hard! Campos GE, Luecke TJ, Wendeln HK, Toma K, Hagerman FC, Murray TF, Ragg KE, Ratamess NA, Kraemer WJ, Staron RS. Muscular adaptations in response to three different resistance-training regimens: specificity of repetition maximum training zones. European journal of applied physiology. 2002 Nov 1;88(1-2):50-60. Hagerman FC, Walsh SJ, Staron RS, Hikida RS, Gilders RM, Murray TF, Toma K, Ragg KE. Effects of high-intensity resistance training on untrained older men. I. Strength, cardiovascular, and metabolic responses. The journals of gerontology series A: Biological Sciences and medical sciences. 2000 Jul 1;55(7):B336-46. Hey there! My name is Andres and I’m the head coach, founder, and owner of The Strength Cave! My goal is to blend science and research with real world application in order to offer the best package possible for my readers and clients.